Last modified on 17/4/2009 at 10:47:00 AM. Total 5661 views. As the data on this species has not been formally published, only a rovisional assessment can be made. 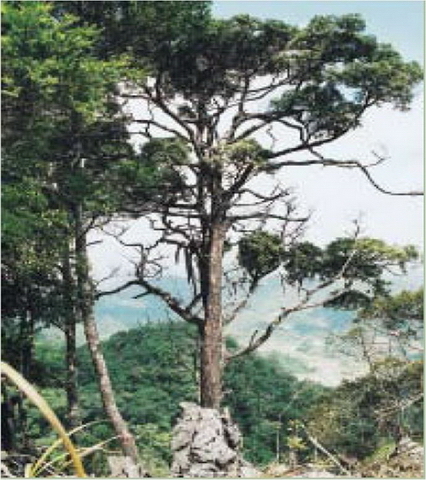 In northern Vietnam almost all populations of Calocedrus have been heavily exploited. Its narrow habitat range, limited distribution, the small fragmented population sizes and extensive recent exploitation mean that it can be assessed as EN (A2cd, C1). As the data on this species has not been formally published, only a rovisional assessment can be made. In northern Vietnam almost all populations of Calocedrus have been heavily exploited. Its narrow habitat range, limited distribution, the small fragmented population sizes and extensive recent exploitation mean that it can be assessed as EN (A2cd, C1). This infers a reduction in population size of more than 50% over the last 3 generations accompanied by a decline in the area of occupancy and quality of habitat due to actual level of exploitation (A2cd). The total national population size can be estimated at less than 2500 mature individuals (i.e. trees that are reproducing – saplings and young trees are excluded) and there is likely to be a continuing decline of a further 20% within the next two generations given the continuing illegal logging and its lack of representation in protected areas. Tree up to 25 m tall, trunk to 1 m dbh, evergreen, monoecious, with broadly rounded crown. Bark with numerous large resin ducts. Timber light yellow, odourless. Branchlets arranged in a plane, spreading and ascending, flattened, prominently jointed. 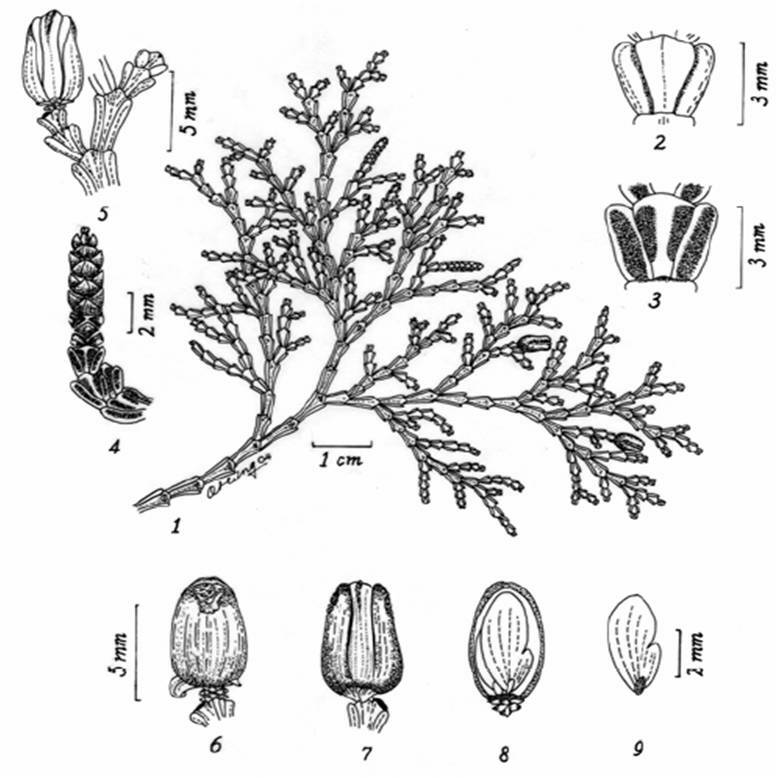 It is distinguished from C. macrolepis by the obtuse to broadly obtuse leaf apex, small sub-sessile 4-scaled broadly ovate seed cones 4–5 (-6) x 2.5–3 (-3.5) mm with very short stalk 0.5–1 (-1.5) mm long having 6–8 (-12) obtuse scales and fertile seed scales with incurved roundish apex having rough, more or less flat surface without any mucro. 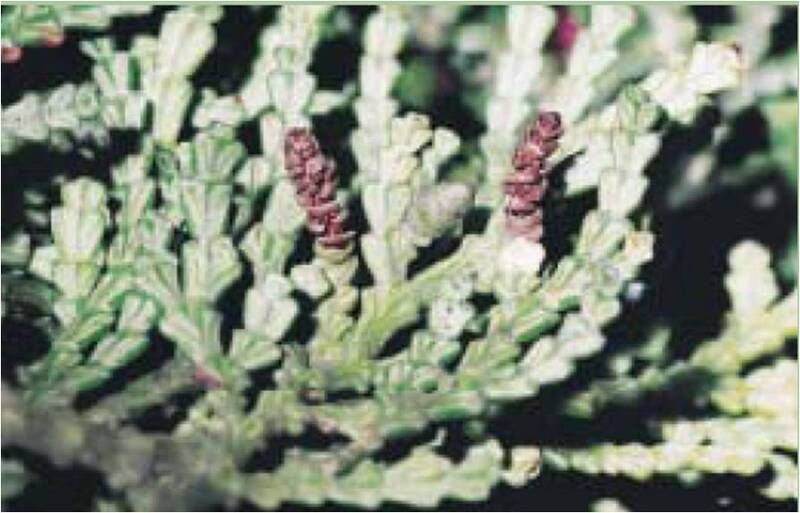 This species is found as a co-dominant in floristically very rich relict primary closed tropical seasonal coniferous submontane forests with Keteleeria davidiana, Pinus kwangtungensis and Pseudotsuga sinensis, on tops of rocky limestone hills composed of highly eroded solid crystalline white limestone at elevation 650–700 m amsl (mean annual temperature is about 200C, annual rainfall over 1500 mm). Very few seedlings of Calocedrus rupestris are observed. 1. Cone-bearing branchlet with scalelike leaves and young seed cones and ripe opened pollen cones. 2. Leaves of young canopy branchlet, adaxial view. 3. Leaves of young canopy branchlet, abaxial view. 4. Cone-bearing branchlet and ripe opened pollen cones. 5. 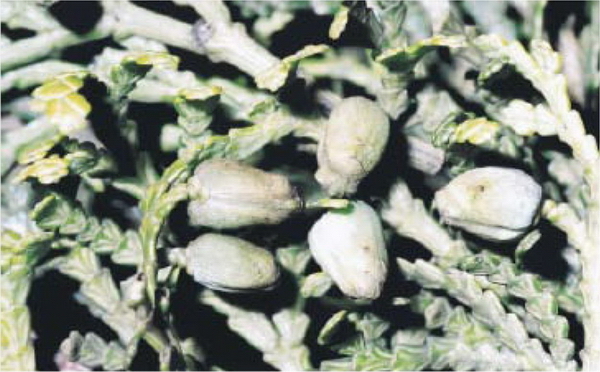 Cone-bearing branchlet and unopened seed cone. 6. Seed cone, facial view. 7. Seed cone, lateral view. 8. Seed cone with removed fertile cone-scale, facial view. 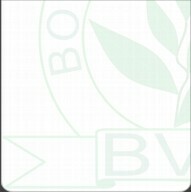 (Drawn from HAL 5441 by Leonid Averyanov (2-10) and Nguyen Quang Hung (1). The type locality is near the village of Na Bo, 21°56'44''N, 106°05'09''E, at elevation 650-700 m amsl, Liem Thuy Commune, Na Ri District, in the southeastern most part of Bac Can Province, bordering with Thai Nguyen and Lang Son Provinces. 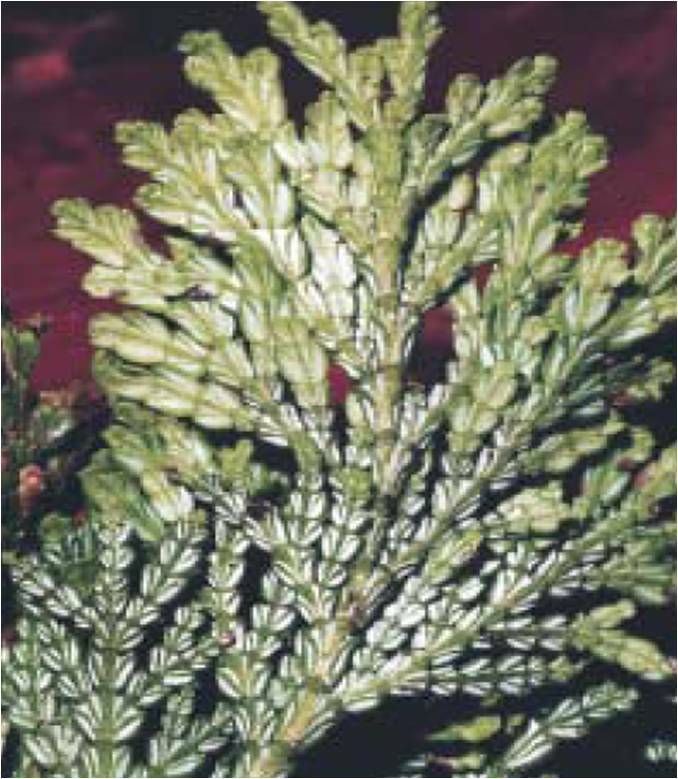 This conifer is found in fragments of primary coniferous forests situated in the large limestone areas of northern Vietnam where many interesting conifers such as Xanthocyparis vietnamensis, Pseudotsuga sinensis, Tsuga chinensis, Taxus chinensis, Keteleeria davidiana as well as many other higher vascular plants were found. 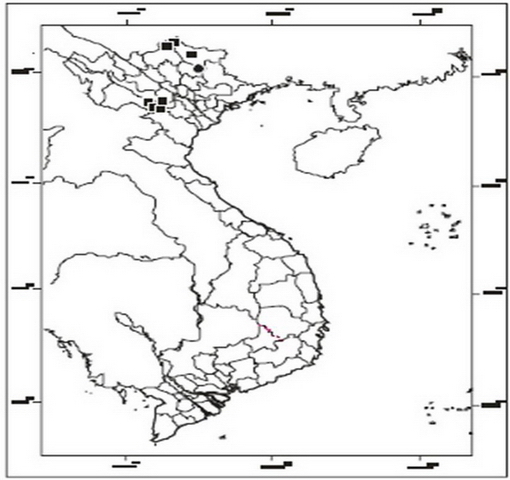 The majority of populations of "Calocedrus macrolepis" found on limestone mountains in Son La, Ha Giang, Cao Bang and Hoa Binh probably belong to this new, as yet unpublished taxon. Reports of Calocedrus from Nghe An have not been verified. Similar to Calocedrus macrolepis, it produces valuable, straight grained, finely textured timber that is aromatic, resistant to termites and insects, and is easy to work. It is used for construction, cabinet work, office furniture and fine crafts and for incense. The major threats are forest fragmentation, forest fire and overexploitation for timber and resin. There are less than 100 mature individuals at the type locality. 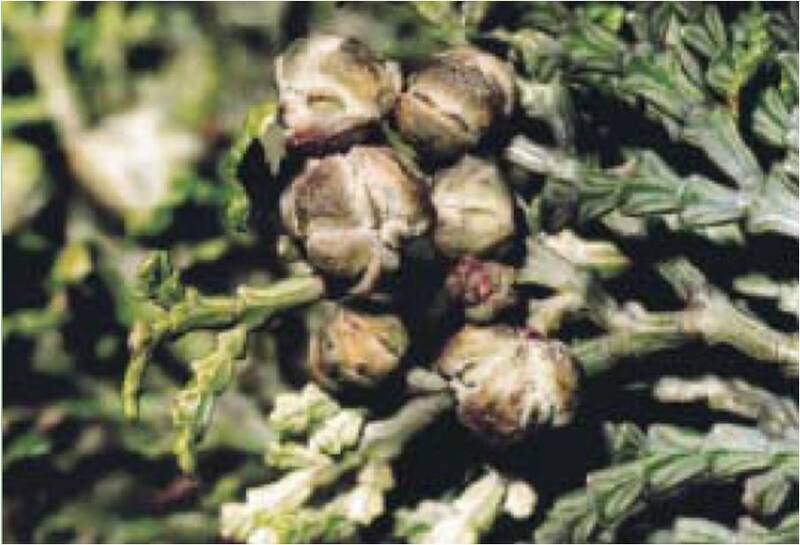 During May-June 2004, it was noted that more than 80% of seed cones of Calocedrus rupestris were parasitised by insects. If this is a regular occurrence then natural regeneration may be inhibited (Averyanov et al., in press). The type locality where this species is found is not yet protected. 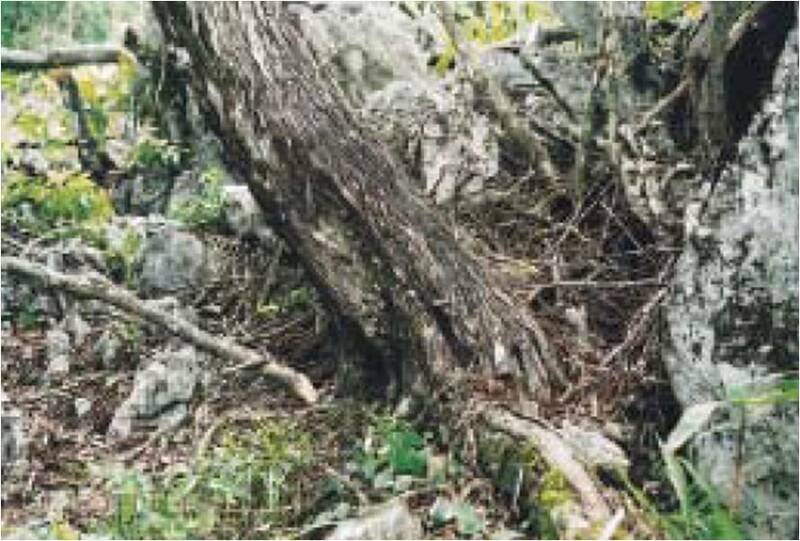 Calocedrus occurs within the Bat Dai Son NR and Hang Kia-Pa Co NR. These populations are small and there are few large trees. Calocedrus was widespread in parts of Son La but the majority of the large trees have been logged. None are implemented at present. The type locality should be assessed for inclusion in protected area system. This species should be added to the List of Rare and Precious Flora and Fauna and all logging should be stopped. Trials should be undertaken to establish a similar ex situ programme as there is for Calocedrus macrolepis in southern Vietnam.